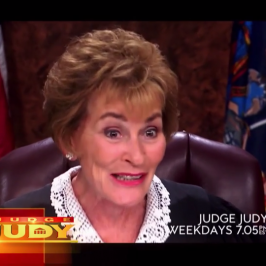 Does Judge Judy look good for 75 or what? Arena is wishing a BIG Happy birthday to one of all-time faves! 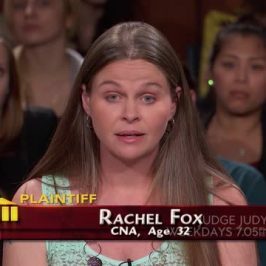 The famously sharp-tongued judge has been presiding over small claims disputes on her hit show since 1996, and she shows no sign of slowing down. We’re celebrating with a marathon of Judge Judy episodes from 1:00pm on Saturday and Sunday. Judy is the highest-earning woman and second-highest paid TV star in Hollywood (only falling short of Simon Cowell on The X-Factor), according to TV Guide Magazine’s annual survey of TV star salaries. She earns $47 million per year her show, which translates to just over $900,000 per work day (she reportedly works 52 days per year). They struck up a relationship and when he hesitated about marriage, she whipped out her calendar and cornered him. “I did propose to him,” she said. “He tried to weasel out of it…whatever. He finally capitulated.” Her persistence paid off; the pair married in 1978 and they have five children. Judy could eat pretty much anything she wanted for breakfast, however, her breakfast of choice is Egg McMuffins, a habit she picked up during her days as a family court judge in Manhattan in the early 1990s. “I still think an Egg McMuffin is the best breakfast,” she has been recorded saying. In her dressing room at Sunset Bronson Studios in Hollywood, Judy likes to play hands of gin rummy to stay alert. 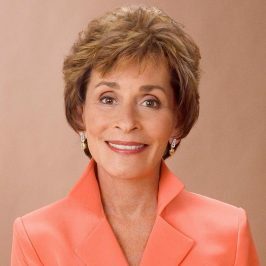 Double eps of Judge Judy are on every weekday from 10:30am.